Professor Michael Zhang is a Professor of Decision Sciences and Managerial Economics at the Chinese University of Hong Kong. He serves as the Associate Dean of Innovation and Impact at the CUHK Business School and is also affiliated with MIT Initiative on Digital Economy and European Center for Economic Research (ZEW). He has a PhD in Management from MIT Sloan School of Management, an MSc in Management, a BE in Computer Science and a BA in English from Tsinghua University. Before joining the academia, he worked as an analyst for an investment bank, and as an international marketing manager for a high-tech company. He holds a US patent, and cofounded several companies in Social Networking (Unknown Space, MITBBS, the biggest social network for Chinese in America), FinTech (Deep Gemini), and LegalTech (Lanternfish Limited). 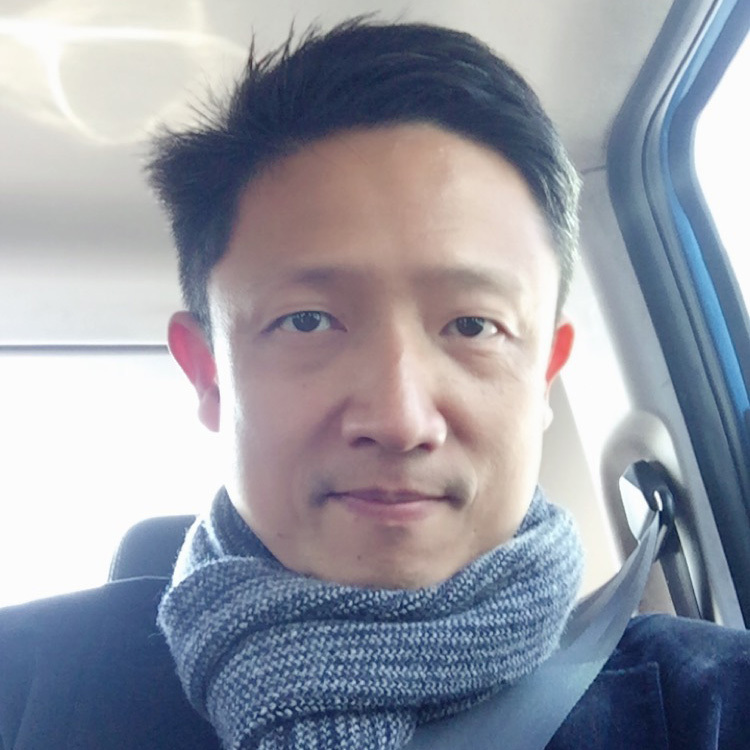 Professor Zhang’s research interests are on issues related to creation, dissemination and processing of information in business and management contexts. His works study pricing of information goods, online advertising, innovation and incentives, and use of Artificial Intelligence in financial markets. His research has appeared in American Economic Review, Management Science, Marketing Science, Journal of Marketing, MIS Quarterly , Information Systems Research, Journal of MIS, Decision Support Systems, and Journal of Interactive Marketing. He has been actively involved in professional services, including serving as a Senior Editor for Information Systems Research, an Associate Editor for Management Science, a Guest Associate Editor for MIS Quarterly. He was on the editorial boards of Production and Operations Management and Electronic Commerce Research and Applications. Professor Zhang actively contributes to the society by assuming advising positions for Hong Kong Cyberport Entrepreneurship Center, Alibaba Group’s Lakeside (Hu Pan) University, Huawei, China Mobile, China Merchants Securities, Douban.com, and Radica Systems. He is also an independent director for NASDAQ-listed company Secoo. His favorite movies are The Shawshank Redemption and Forrest Gump. His favorite cartoon character is Tintin. His wife Jade runs the best Hong Kong Insurance information website in Chinese. Business implications of Artificial Intelligence (Deep Learning). Interested in IT's impact on the financial market. Developed a research stream on FinTech. It is one of the largest online communities for Chinese in the USA. Wall Street Journal reported this website in 2004. Dissertation: An Empirical Study of National Innovation Systems. Sun, M., Zhang, X., and Zhu, F. "U-shaped Conformity in Online Social Networks," Marketing Science, forthcoming. Li, X., Feng, J., and Zhang, X., "Online Product Reviews-Triggered Dynamic Pricing: Theory and Evidence," Information Systems Research, forthcoming. Wang, A., Zhang, X., and Hann, I., "Socially Nudged: A Quasi-Experimental Study of Friends' Social Influence in Online Product Ratings," Information Systems Research, 29(3), 2018, 641-655. Du, X., Su, M., Zhang, X., and Zheng, X., "Bidding for Multiple Keywords in Sponsored Search Advertising: Keyword Categories and Match Types," Information Systems Research, 28(4), 2017, 711-722. Zhang, X., and Zhang, L., "How Does the Internet Affect the Financial Market? An Equilibrium Model of Internet Facilitated Feedback Trading," MIS Quarterly, 39, 1, 2015, 17-38. Xu, S. X., and Zhang, X., "Impact of Wikipedia on Market Information Environment: Evidence on Management Disclosure and Investor Reaction," MIS Quarterly, 37, 4, 2013, 1043-1068. MIS Quarterly Paper of the Year Award. Malthouse, E. C., Haenlein, M., Skiera, B., Wege, E., and Zhang, X., "Managing Customer Relationships in the Social Media Era: Introducing the Social CRM House," Journal of Interactive Marketing, 27(4), 2013, 270-280. Zhang, X., and Wang, C., "Network Positions and Contributions to Online Public Goods: The Case of Chinese Wikipedia," Journal of Management Information Systems, 29, 2, 2012, 11-40. Zhang, X., and Feng, J., "Cyclical Bid Adjustments in Search-Engine Advertising," Management Science, 57, 9, 2011, 1703-1719. Zhang, X., and Zhu, F., "Group Size and Incentives to Contribute: A Natural Experiment at Chinese Wikipedia," American Economic Review, 101, 4, 2011, 1601-1615. Zhu, F., and Zhang, X., "Impact of Online Consumer Reviews on Sales: The Moderating Role of Product and Consumer Characteristics," Journal of Marketing, 74, 2, 2010, 133-148. Wang, A., and Zhang, X., "Sampling of Information Goods," Decision Support Systems, 48, 1, December 2009, 14-22. Dellarocas, C., Zhang, X., and Awad, N. F., "Exploring the Value of Online Product Reviews in Forecasting Sales: The Case of Motion Pictures," Journal of Interactive Marketing, 21, 4, 2007, 2-20. Journal of Interactive Marketing 2008 Best Paper Award. Brynjolfsson, E, and Zhang, X., "Innovation Incentives for Information Goods," Innovation Policy and the Economy eds. Adam B. Jaffe, Josh Lerner and Scott Stern, vol. 7, 2007. Chi, H., Piramuthu, S., Zhou, W. and Zhang, X., "Durable Goods Competition with Sharing." Kummer, M., Slivko, O., and Zhang, X., "Doing by Learning: Online Knowledge in Times of Economic Crisis." Chen, X, Wang A., and Zhang, X., "All Online Friends Are Not Created Equal: Discovering Influence Structure in Online Social Networks." Wang, A., Zhang, X., and Tam, K., "Role Identity Salience and User Participation in Online Communities." Liu, A., Xu, X., Zhang, X., and Zhao, X., "Does the Wisdom of Crowds Affect Insider trading? Evidence from Information Aggregation on Wikipedia." Sun, M., Zhang, X., and Zhu, F. "When Does Conformity Decrease with Adoption? Evidence from A Large Field Experiment." Wu, W., Zhang, X., and Zheng, R., "An Empirical Study on the Monitoring Role of Wikipedia in the Financial Market." Kummer, M., Slivko, O., and Zhang, X., "Unemployment and volunteering: Does unemployment affect content generation on Wikipedia?" Wu, W., Shi, W., Zhang, X., and Zheng, R., "Firm Performance and Information Dissemination: Evidence from Twitter." Wu, W., Xu, H., Zhang, X., and Zheng, R., "On the Inefficiency of Sponsored Search Auctions." Zhang, T., and Zhang, X., "Corporate Campaign Contributions and Political Favoritism." Copyright © 2018 Michael Zhang, PhD.